Communications Apprentice, Ellie Bacon has recently graduated from her apprenticeship with Brighton and Hove City Council and has now moved up to London where she has started doing work experience with BBC TV entertainment. She spent 2 years working with the press office and web team within the Communications department, putting together press releases of stories that involved Brighton council, working on news desk, making short promotional films, and working on social media and web content. 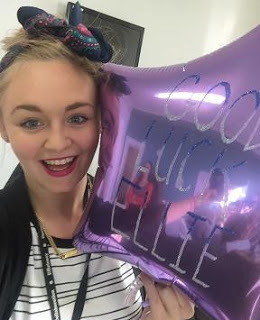 Ellie achieved her level 3 NCTJ Journalism diploma, which is a new trailblazer apprenticeship at Lambeth College. Ellie, said: “My apprenticeship has been amazing, I've learnt so much from everyone in the communications team and gained a national qualification which I can take with me where ever I go next. It has been an amazing spring board to my career and I leave with no debt which I would have if I went to university"
Ellie has made way for new Communications Apprentice, Theo Duncumb Rogers.